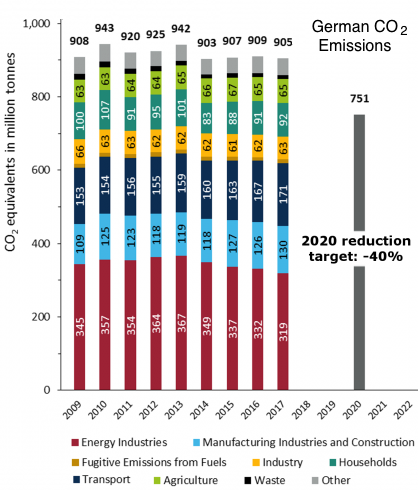 The Black Swan Blog » German Energiewende – If this is success what would failure look like? Good information. 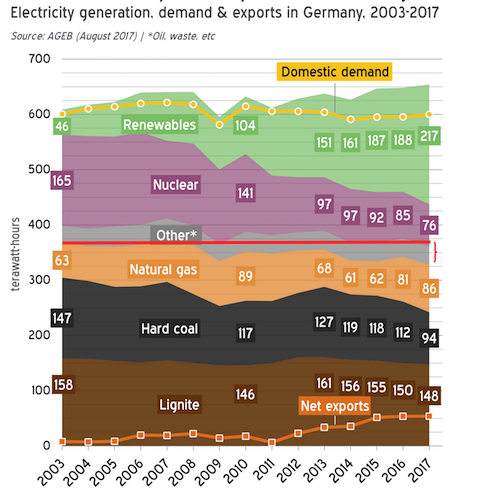 People should be made aware that of the 217 TeraWatt-hrs of electricity generated in 2017 by “renewables”, only about 30% of that was wind plus solar. Burning stuff accounted for about 63% of the 214 TW-hrs.